Are you ready for a sea journey? 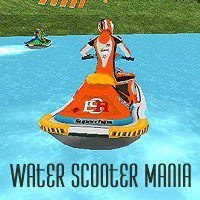 Just complete all water tracks on your scooter and enjoy taking first place! Have you ever driven a powerful scooter? In this game you have a chance to have fun and practice your skills. Just win all races and enjoy the process!